Over one year has passed since I first crossed the frontier into Libya, and what a long, strange trip it’s been. As I stared beyond the final border checkpoint into that empty landscape, before my eyes stretched the great unknown, a boundless abyss of uncertainty. What would become of me in this, the first war-ravaged country I had ever set foot in? Yet to my surprise, that dull sense of dread, such an ever-present specter since I first decided to go, suddenly disappeared, replaced instead with a growing feeling excitement. And so after many years of dull apathy, I felt a renewed sense of purpose. Long before that border crossing, I fell deep into those dreary, dark doldrums that many filmmakers call home. Progress in the industry was inordinately, soul-sappingly slow. Time, however, wasn’t. And with each year gone, success seemed more and more distant, and less and less likely. Yet all this would change in just four days, those fateful four days in February of 2011. A passion long forgotten would suddenly be rekindled, ushering me across the Atlantic and to this sand-choked border hugging the heights above the Egyptian town of Salloum. Not an hour from Egypt, we entered into Tobruk, site of the great World War II battle, and the first sizable city in the East of Libya. As we drove on those broken roads, we were greeted with a scene of quiet jubilation. The sense of citizenship coursing through the veins of the residents, newly freed from 42 years of Gaddafi, was like nothing I had ever witnessed. And as we worked our way toward Benghazi, the birthplace of the uprising, that same scene played before us…over and over and over. For the whole of the East was polarized, working as one to rid hapless Libya of the systematic oppression that had plagued it for two generations. As we arrived in Benghazi, midnight had come and gone, but people were out in full force clearing the wreckage from the streets. The following day, we saw 12-year old boys don police hats and direct traffic at the light-less intersections. Downtown, we raptly watched as musicians and artists converged on the once foreboding internal security headquarters, now the media center and the cultural Ground Zero of the revolution. In the blink of an eye, a music and art scene burst forth from under the surface, and enveloped free Libya. Heavy metal, country, blues, jazz and traditional all converged on the media center, and brought its burned out shell to life. And all amidst a backdrop of utter devastation. 42 years of neglect had left Benghazi a living ruin, a bleak setting for a post-apocalyptic film. Yet despite the decay, the city was full of such life, of renewal, of spring come again. I took all this in with amazement, and for the first time in I don’t remember when, I felt a faith in humanity, dormant somewhere deep inside me, reignited. And I felt that same renewal course through my veins. The idea for a music festival first came to me while I was exploring the ruins of the ancient Greek city Cyrene. While I wandered through the decaying Necropolis that winds down the hill toward Soussa, the youth were out in full force and exercising their creativity out in the open, letting their voices be heard for the first time in their lives. I thought to myself that the world needed to see this, the true face of the revolution. Not al Qaeda. Not Western governments, but the thousands of forgotten, a lost generation rediscovering itself in the music…in the requiem for youth. The more I pondered, the greater the need, it seemed to me, to show to the rest of the world this true face of Libya that I was seeing. And in those quick moments, I transformed from a down-on-his luck filmmaker into a music festival producer. After leaving Libya for a few months, I returned only to find a large number of people had already heard about the idea. As a friend later explained to me, news travels near the speed of light in the metropolitan village that is Benghazi, and one person stumbling across a Youtube video of some unknown American talking about some Libyan music festival soon turned into 50 ad hoc festival organizers. Before I even arrived, I had a crew. And when I once again planted my feet on Libyan soil, we were off to the races. Soon followed coffee with businessmen, meetings with ministers, and appointments with NGO’s. 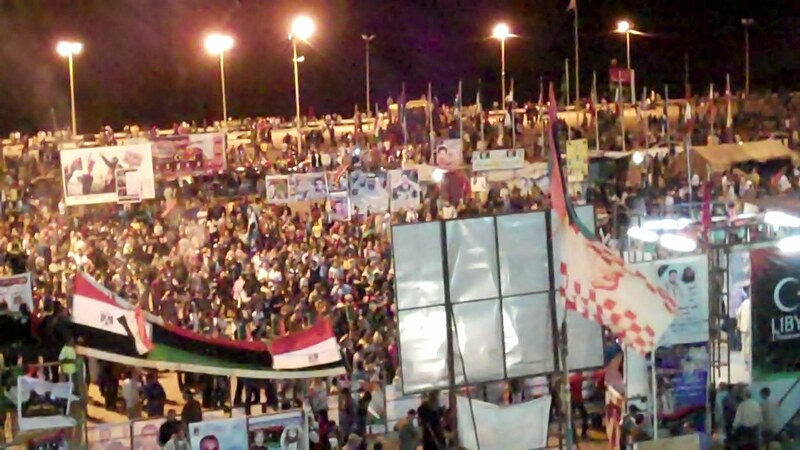 Interest grew and grew, just as opposing forces violently clashed in the last loyalist stronghold of Sirte. A month passed, and when Sirte finally fell on October 20th, we used the occasion as a platform to advertise about the festival. And, oh, how splendid things looked. As time wore on, however, it became painfully clear that nothing was actually getting done, and nobody knew what they were doing. The honeymoon was over, and my once robust crew attenuated down to three: me and two others. The enthusiastic voices of support in the National Transitional Council (NTC) had long grown silent, and the various NGO’s never bothered to follow up, let alone return our calls. To make matters worse, the idea was hijacked by at least four different groups, and what once seemed to be a concerted effort of the citizens of Benghazi became a desperate race between rival factions to hold the first festival. The NTC invited Yousif Islam for a festival at our original location. A local television channel began poaching from our lineup for theirs. And whispers of various other music events kept on surfacing throughout the month of January. It seemed the very spirit of the festival, the very spirit of the music, had been tainted. 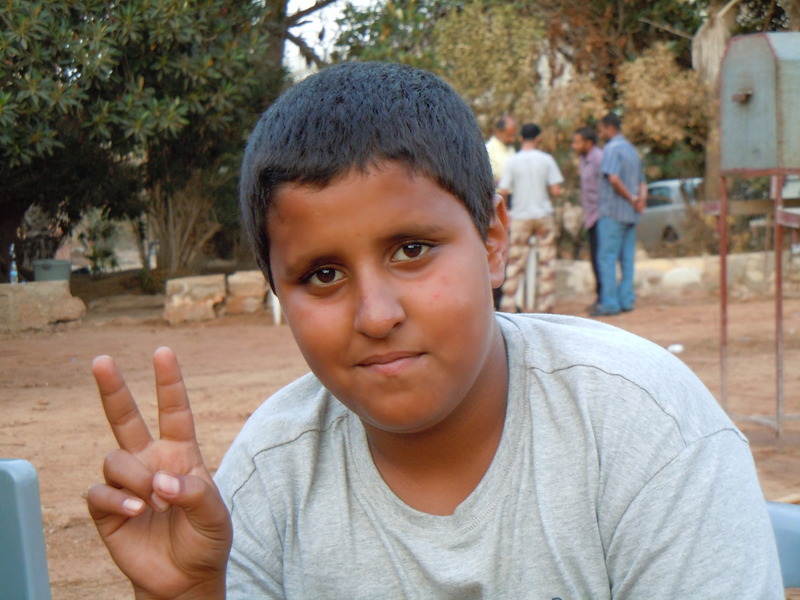 All the enthusiasm, all that newfound hope welling inside of me, was gone, slowly eaten away by the months of collective apathy after the fall of Sirte. Yet somehow, through all of these pitfalls, we remaining, we few persevered. And it appeared our perseverance would be rewarded. One day before the festival, we found ourselves the last ones standing, with a fantastic location secured, and 25 local bands ready to shake the very foundations of Benghazi. As we held the final briefing of the bands, I looked on in sheer amazement. We did it. After all this…we, we really pulled it off. Sadly, however, the legs that supported us, and seemed to hold up while others fell, were nothing but an illusion, a cruel mirage in the heat of the desert sun. For at the 11th hour, the burgeoning politics of Benghazi laid to waste all our plans…and just like that, we were forced to cancel the festival. The music, the voices, went silent once again. The aftermath was a particularly difficult time, for the shades of failures past continually haunted me. The hope I had so happily embraced turned to dust in my hands. I hated Benghazi, hated it with a passion, and it appeared that Benghazi began to hate herself. 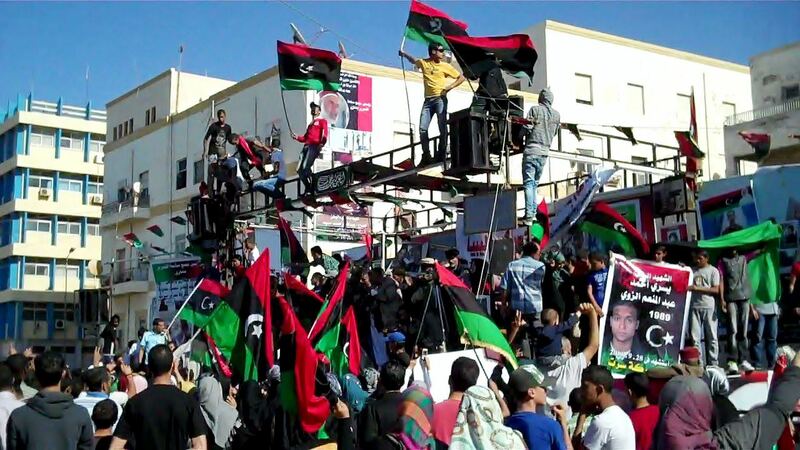 Disappointment and resentment ruled the day as Libya became mired in post-revolutionary stagnation. Once again, corruption was blatantly out in the open, and people felt that nothing had really changed, save for their ability to complain and criticize. Somehow the city reflected how I felt inside, and I wanted nothing more than to go home, to leave this dirty living ruin, lost within the echoes of the 20th century. Yet something inside refused to let me leave. Something I had yet to discover. Some burning question left unanswered. One beautiful spring day, as I was walking by the lighthouse, the sun peaked through the clouds, and hit the ruined buildings in a peculiar way. And for the first time since I arrived, I saw it. I saw Benghazi. Not the ruined city of trash and rubble that I had come to know, but a hidden gem amidst the dust, a gem with many facets. To truly see Benghazi, to truly understand this unique city of contradictions, one must take them all in at once. All facets. This was a city with virtually no infrastructure. Crumbling hospitals. Decaying roads. And no law and order. Yet despite these civilization-smashing problems, Benghazi not only functioned, but functioned peacefully. In the midst of it all, here I was, a blonde sore thumb with a pony-tail, moaning about the festival and generally feeling sorry for myself. Yet I never felt any real danger, even in a city where most of the population possess small arms, with the police being nothing more than paper tigers. In spite of this, however, I walked virtually everywhere without being bothered (apart from crazy drivers and roving packs of vicious dogs). No, no. This was not Mogadishu. In fact, this was not even San Francisco. As the rays of the sun illuminated this ancient city on the Bay of Misrata, I at last saw through the veil of my own darkness and gazed upon the true face, the true character, of Benghazi. Unconditional love for this city, my city welled up within, for she embraced me and took me as one of her own. And for the first time, I felt peace. This story, my story, is not about a festival, nor is it about a nation burning in the flames of revolution. No, this is a story about how the city of Benghazi and I came to love each other, despite our many disagreements, and despite the great cultural chasm that lies between us. In the beginning, I came to her engulfed within the darkness of my soul, among the shadows of failures past. Yet in the end, she would come to love me as I love her, and lead me out of the darkness. As I left her behind in the sands of the Great Desert, I finally heard her song. And what a beautiful song it was. 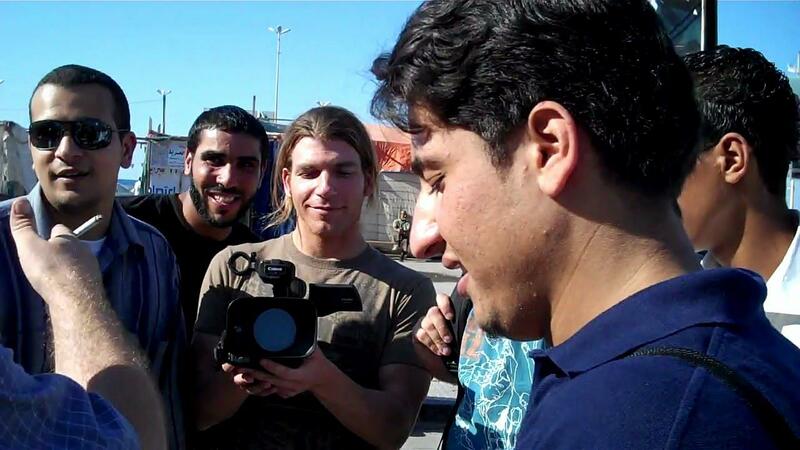 A young man named Ahmed returns to Libya after studying economics in the United States. But he’s not here to start a new life in the Socialist People’s Libyan Arab Jamahiriya. Instead, he waits patiently in his hometown of Benghazi. And when the orders come from his contact, he is prepared to move quickly. Weeks pass. His contact is silent, and the abyss of the unknown stretches out in front of him. Until one day Ahmed finally gets word…but too late. Hiwaz is dead, his plans lay in ruins. And the roundup begins. He is unsurprised when they finally show up at his door. He is trussed up and sent off to Tripoli, to the dreaded Abu Salim Prison where he is processed. He waits in the corridor, standing and handcuffed with a bowl of some unidentifiable substance posing as food poised at his feet. He is starving, but he will not eat like a dog. Days pass, and the guards find him slumped on the floor, bowl untouched. Processing complete, they move him to a cell, where he is soon joined by 14 other doomed souls. News starts to filter in about what happened. Hiwaz and his co-conspirators, attempting to infiltrate through the Tunisian border, were killed in a firefight against the vigilant Gaddafi apparatus. The leader of the Great Socialist People’s Jamahiriya is invincible. But news of what really happened begins to filter through. As a young man named Zakaria is arrested for the sole crime of sharing the uncommon name with one of the conspirators, another man is ushered into Abu Salim. Word travels from cell to cell in a wave of information. He was with Hiwaz, they whisper. Weeks sail by, and Ahmed loses precious weight. Deciding that he will observe the month of Ramadan indefinitely, he saves his food for the setting of the sun. The cell network filters in more news. Hiwaz and his cohorts made it through the border. There was a gunfight near Bani Walid. Some were killed. Some were captured. Next to hapless Zakaria’s cell in an adjacent block, a man who was with Hiwaz is shepherded out of his cell one day, and never seen again. The guards soon tell Ahmed that he and others were hanged publicly back in Benghazi, a serious lesson that the Gaddafi apparatus is well-oiled, and poised for retribution. Suspecting all along that he would be hanged for his part in the conspiracy, Ahmed waits. But they never come. As the distinguishing lines between the days melt away, the lines of hunger on Ahmed’s shattered body become more pronounced. He feels spears of madness probing his brain, but he resists. He repeats nursery rhymes he learned in the States over and over. When that fails to keep away the darkness, he remembers as many verses from the Qu’ran as he can, and repeats them deep into the stygian nights. They were stopped. They showed them their papers but were brought into the station anyway. Hiwaz was taken in alone to interview about his papers. He carried a gun. At the dawn of the millenium, there was only one store in the whole of Libya where one could buy heavy metal music. It was considered very dangerous to listen to such corrupting noise. Now, only 10 years later, there is a burgeoning metal community, led by Dawn of Odessa, a band born straight out of the now anachronistic British New Wave of Heavy Metal. 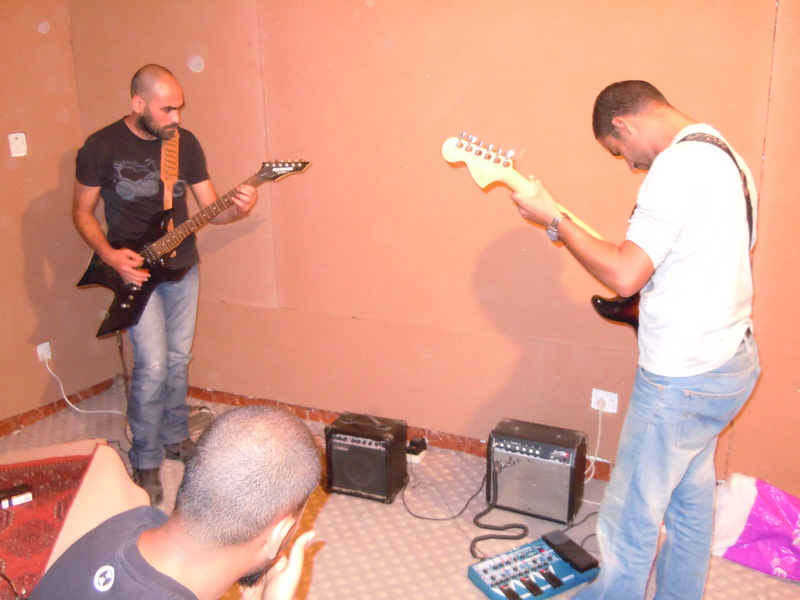 Last night, I was taken to an ad hoc rehearsal room in an ad hoc music studio, bordering an ad hoc center for Libya al-hurra channel. As a young lady with a beautiful voice laid down tracks in an ad hoc sound proof room, the face of Benghazi metal began rehearsing their song ‘United Warriors’ upstairs. Their equipment was old, battered, and barely workable…yet good enough for these enthusiastic metal heads. And then they started playing. Within seconds, I found myself back in 1986, whirled away in a hot tub time machine of sorts. Yet in front of me wasn’t the odious glam rockers Poison, but the true spirit of metal. The lyrical content may have been aimed at Gaddafi and his fallen regime, but the spirit of metal was universal.